How many times have you received a company memorandum so insipid that you could not manage to make it beyond the first three sentences? Now that you are a business owner or in charge of sending out business communication to your employees, the last thing you want is to be met with the same response. Yes, you might have aced essays and research papers in college but that does not necessarily make you an expert in the field of business writing, does it? Business writing is another ball game altogether with its unique set of dos and don’ts. From company reports and minutes of a meeting to proposals, e-mails and presentations – any kind of professional communication in the business world falls under business writing. The idea is to direct information clearly and accurately without getting lost in unnecessary details. 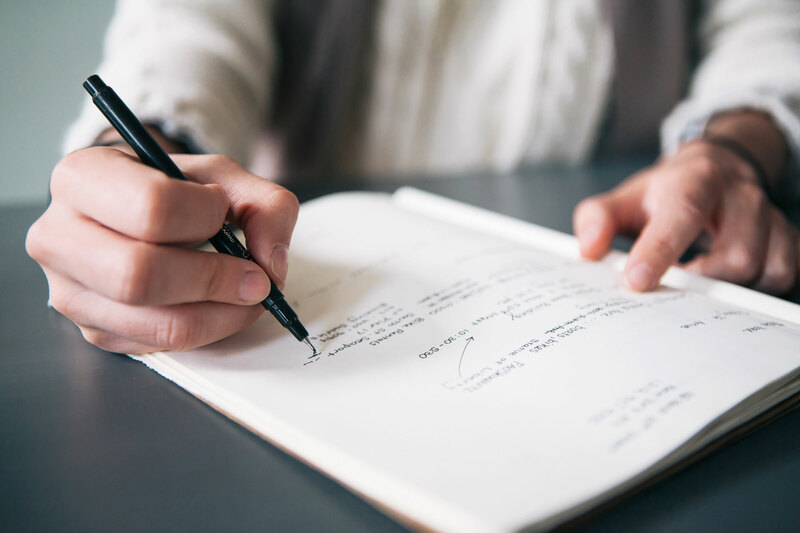 Here are 8 tips that can help take your business writing skills a notch higher and entice your readers to seriously take note of your message. Planning is hugely underrated when it comes to writing. If you have to draft something, take time to plan your writing first. Identify the purpose of your writing – is it to convey a news to your employees, share the change in company structure, ask for feedback or send a proposal to a client – the purpose is what sets the format and tone of your writing. Once you know why and who you are writing for, you can plan out your key messaging and chalk out the order of your communication. If you aren’t sure of your business writing skills, it is a good idea to hire an expert and get your urgent writing help here because sending out a shoddy piece of writing is sure to put your company in bad light. Beating about the bush is a serious no-no. You don’t want your employees to be screaming, “just come to the point already!” in their heads. With decreasing attention spans and busy schedules, no one has the time to go through lengthy e-mails or presentations that refuse to deliver the point in a concise manner. Make sure you deliver your key message in the first few sentences so even if you lose readers along the way, you know they have got the main point you wished to deliver through the communication. It truly is a skill to write clearly and concisely. When you’re done writing, give it a thorough reading. Eliminate all the messaging which has been repeated and do away with details that are adding no value to your writing. You might think using jargons and fancy buzzwords will speak highly of you but what’s the point if your message does not reach the intended audience? Your readers should not be left puzzled. Use simple, everyday words instead. They clearly communicate what you are trying to say. Another aspect that is best kept out of business writing are clichés. They are done and dusted, and it is high time you recognize that because all they do is make your writing stale. Even though you want the message to resonate with your readers, it is important to keep it fresh and meaningful instead of stuffing it with overused phrases. So, stay away from jargons and clichés – they tend to create barriers and go against the whole purpose of your writing. “The appraisal forms need to be filled by 13th November 2019” versus “Please fill the appraisal forms by 13th November 2019” – which sentence are you likely to comprehend better? With all probability, the latter one, right? Sentences written in active voice are always better received than those in passive voice because active voice speaks to the reader directly. They are more engaging, personal and clear. Moreover, passive voice just ends up making sentences longer and more complex. While you should use active voice wherever possible, passive voice can be used during instances when you want to focus on the action rather than the object/person in question. Business writing takes place in a professional environment; hence it is important to be strictly professional in your writing. There is no place for light-hearted jokes or sarcastic comments here as they can very well be used against you. In the professional scheme of things, your writing is supposed to be inclusive and respectful. Be doubly careful about not sounding sexist or racist in anything you write. Be mindful about the words you choose and always phrase your message positively, even if you are sending out a warning or delivering bad news. Yes, you can be professional and still have a conversational tone in your writing. What do people mean when they talk about adopting a conversational style? As the name suggests, conversational writing refers to writing the way you speak. Such a tone is most effective when it comes to resonating with your readers. Many people confuse professionalism for being formal but that’s not true. You can be informal yet professional. When you write how you speak, you tend to be clearer and easily comprehendible. After all, isn’t that what you want to achieve through your writing? So, ditch the habit of being overly formal – conversational is the way to go. “What difference does the layout make, it is just an internal communication” – if that’s what you think, you are making a grave mistake. The layout and format you choose for your piece of business writing is extremely important and plays a huge role in engaging your readers. Imagine receiving lengths paragraphs versus a fun infographic that beautifully delivers your message – what are you more likely to enjoy reading? Take efforts in making your communication more readable or using different formats to communicate. For instance, if you want to share the employee code of conduct, why not create an animation or a 2 minute video instead of emailing employees a list of dos and don’ts? When it comes to formatting, stick to one professional font style and color – using multiple colors and styles just makes the content messy. As is the case with any kind of writing, the importance of formatting cannot be emphasized enough even when it comes to business writing. Proofreading should not be looked upon as a waste of time because you rather spend those extra few minutes correcting spelling mistakes or grammatical errors rather than sending out a piece of writing filled with mistakes. After you are done writing, take a small break and then get to proofreading. Sometimes, you need to rest your eyes and get over blind spots before you take a look at the content again. It is also a good idea to get someone else to proofread it because sometimes a fresh set of eyes can be a better way to check your writing. How Cloud Playout Services are Changing the Face of Broadcasting System? How Can You Use Instagram’s IGTV for Successful Marketing?